The more my interest in watches grew the further I felt myself falling down the rabbit hole. Simply appreciating watches for the way they looked suddenly wasn’t enough. I wanted to understand them. 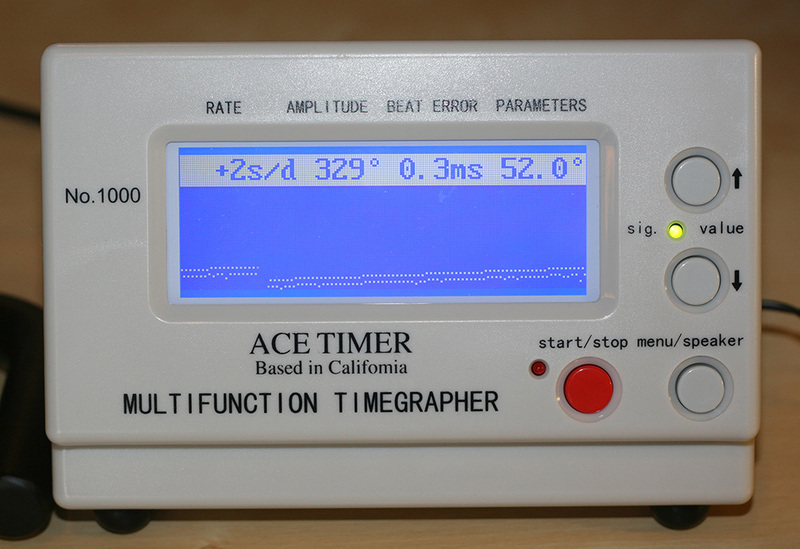 Accuracy, amplitude, beat error, these are all things that I needed to learn to interpret if I wanted to deepen my understanding of these beautiful little machines, and the only way to do that was to get my hands on a Timegrapher. This is a basic unit that has all of the features I wanted and nothing else. It is quite simple in its construction and programming, which is fine by me. So that said, what does it measure? This is how fast or slow the watch movement runs and is measured in seconds per day. My custom built Flieger with an ETA 6497 runs at an outstanding rate of +2 seconds a day. I couldn’t ask for better. Amplitude is the measure of swing in the balance wheel. The amplitude can be affected by the amount of energy in the mainspring as well as the position of the watch in space. It can be an important indication of the watches overall health. The amount of variation in the timing of swing from one side to the other in the oscillation of the balance wheel. Generally, beat error should not exceed 0.8ms in any single position. So now that we know what it measures, how does it work? Basically you place a watch on the clamp, it thinks for a couple of moments to figure out the train count then starts showing the beat rate. It is set to autodetect the rate by default, and does a perfectly fine job, though if you chose you can set it manually. The only thing you’ll need to set yourself is the lift angle, which refers to the angle the balance passes through while interacting with the pallet fork. Most modern watches use a lift angle of 50 – 52 degrees, though this can vary based on your particular watch. It is important to set this correctly otherwise the amplitude reading will be incorrect. 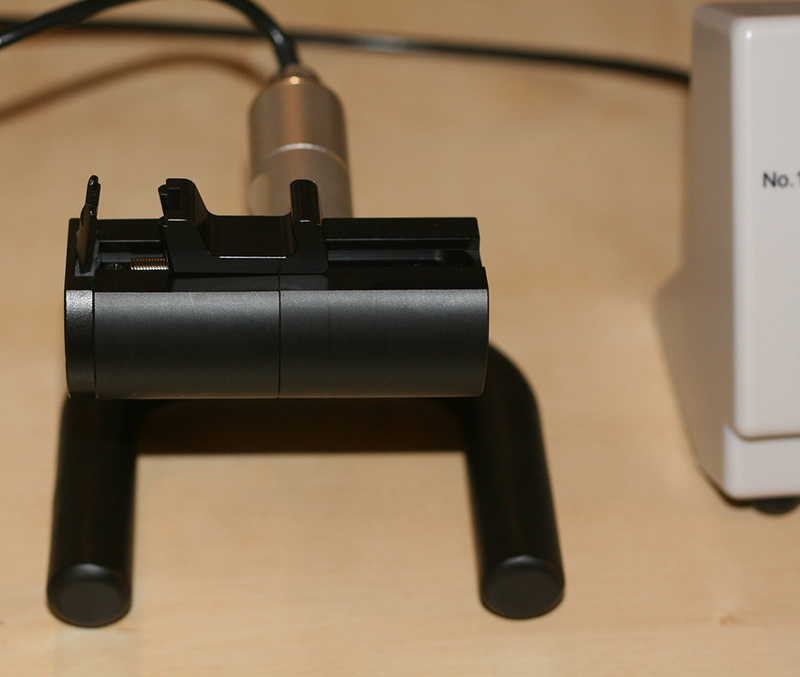 The microphone and stand is very sturdy and appears to be well built. 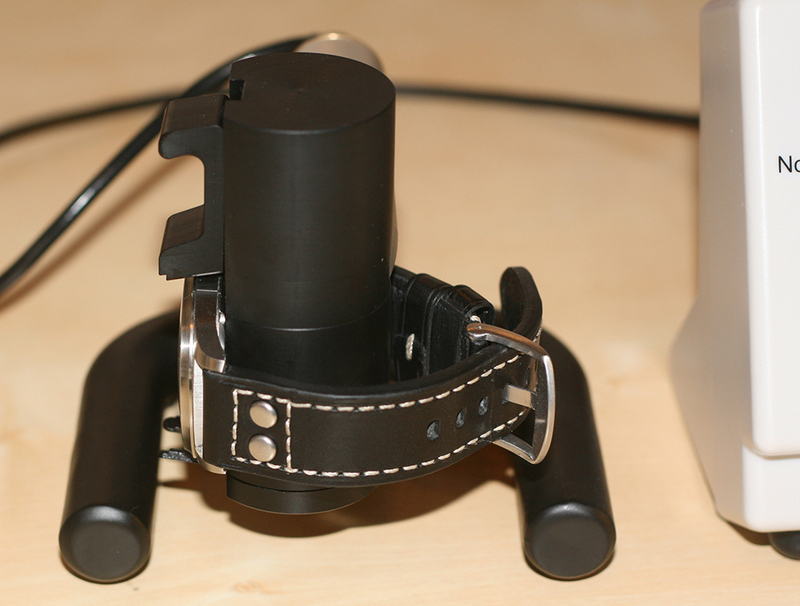 It is adjustable to 6 positions. You will want to measure your watch in each position to get a good feel for the performance of the piece in all possible configurations. Overall I have been very satisfied with this timegrapher. It is a simple tool that does its job effectively. 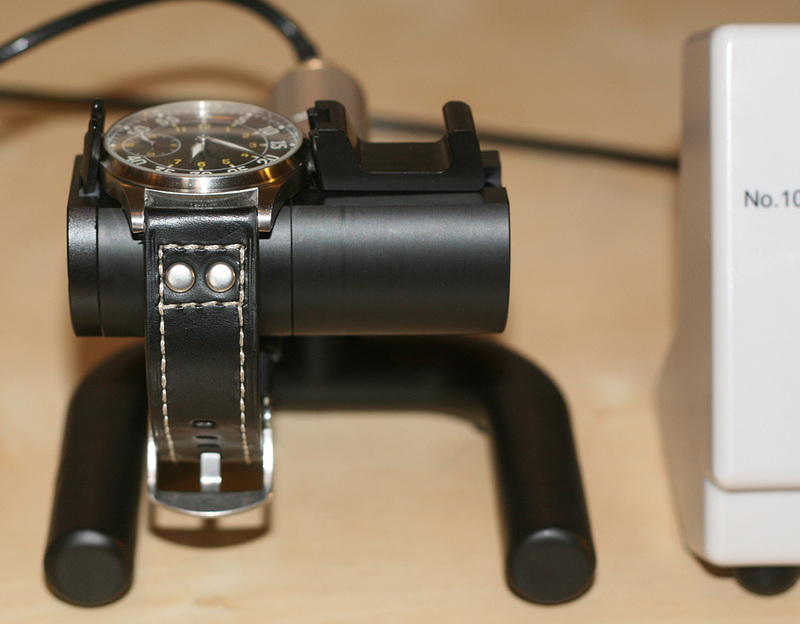 If you are a serious watch collector, or even just a hobbyist with an interest in more fully understanding your watches I can definitely recommend this gadget. 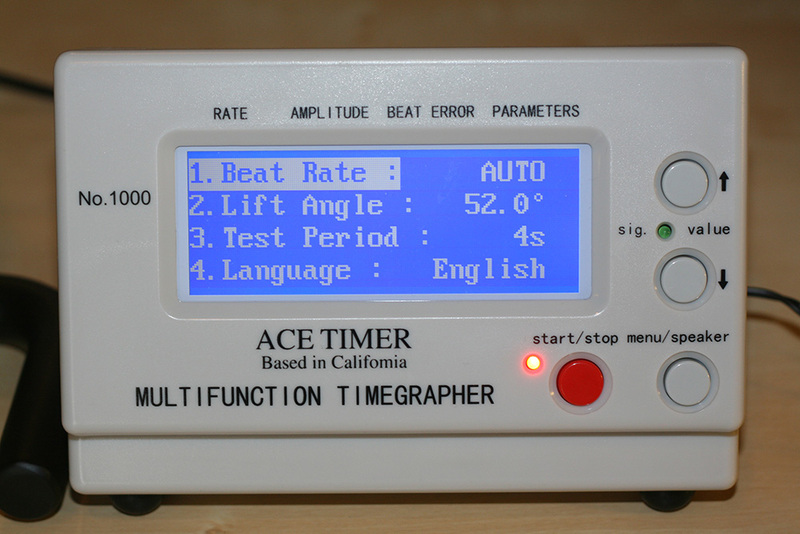 I hope you found this Ace Timegrapher review helpful! Did I leave something out? Have something to add? Let me know in the comments. How do you determine the lift angle for modern high end watches, such as PP JLC VC breguet, rolex,etc. Is there a table that has been assembled for watchmakers? There isn’t an assembled table that I’m aware of that spans multiple manufacturers. I know ETA lists all of the specifications for their movements, including the lift angles on their website. If you have the watch and a timegrapher handy you can actually figure out the lift angle pretty easily by eye. Simply start with the watch in an unwound state and slowly wind it up until the balance is swinging at 180 degrees of amplitude. Once it is swinging at a steady 180 degrees, put the watch on the timegrapher and adjust the lift angle settings until the amplitude reads 180 on the timegrapher. Once it lands on 180, you’ll know what the lift angle is. Hope that helps! No. Esto es sólo para los relojes mecánicos.